As Managing Director Mexico, Rafael has overall responsibility for origination, operations and asset management in Mexico. Prior to joining Sunco Capital, he spent the last 5 years in Mexico helping, from the private sector, to the successful implementation and development of the peerless Mexican energy reform. Rafael was former part of the Executive Committee from Engie Mexico, acting as a Renewable and Infrastructure Director. Also, he played leading roles in the Mexican Energy Market such as Business Development Director in Abengoa Mexico. Also he participated in most relevant energy associations such as Asolmex (PV), Amdee (wind) and AME (Mexican global energy association). 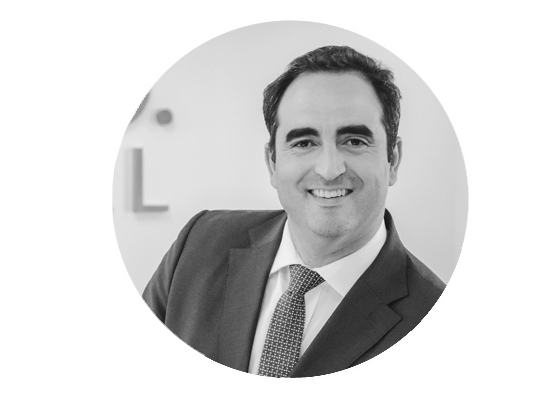 During his more than 17 years of professional experience, he has been involved in infrastructure, energy and water sector, working actively in investment assets within Europe and Latam market, being appointed for singular roles in some of the more relevant multinational such as Iberdrola, Ferrovial or Acciona. He holds a Msc. In Civil Engineering from the Valencia Polytechnic University, a Master in Business Administration from IESE Business School and different financial and corporate executive programs in international business schools Wharton, CEIBS and IEB. +17 years of experience in the energy and infrastructure sectors. Direct execution of + 250 MW (in Spain) of wind assets and direct negotiation and closing of turn-key EPC of extra 150 MW wind project (in Mexico). Development of +4 GW of projects across Latam (Mexico, Peru and Argentina) from greenfield status of wind, solar, hydro, CCGT & OCGT. Awarding of +600 MW in renewable public auctions and private PPA execution of 120 MW. Negotiation of 600 GWh on other private PPA restricted bidding processes. Analysis for M&A processes of more than 1 GW of renewable and conventional sources. High experience on Sponsor and Contractor roles, mainly related with turn-key projects for PF funding structures.